Philips Fidelio M1MKII review | What Hi-Fi? Best portable on-ear headphones £100-£200, Awards 2016. A lovely pair of portable headphones. Highly recommended. Philips has done very well with its Fidelio range of audio products – and that good form looks like it will run and run. Last year, we gave the Fidelio M1 on-ear headphones an Award, and the follow-up effort - the M1MKII - is every bit as impressive. The official blurb boasts of a lighter voice coil, extended high frequencies and more accurately tuned bass. That’s a relief, because on the outside it would appear little has changed. Fine by us: we quite liked the original design, which was discreetly stylish. It’s a light frame, which belies the mostly metal (and rather sturdy) construction. The headband is coated in leather, the underside of which is now dimpled to prevent too tight a grip; it grips without squeezing and the clamp force is nicely judged. The memory foam earpads covered in faux-leather are comfortable. They’re never too warm, but are snug enough to provide a few degrees of noise isolation – good commuting buddies, then. Also welcome is the fabric coating on the cable, which is designed to fight tangles: it works well. These cans are fairly portable. The earcups swivel flat, and you get a soft carrying pouch in the box – but there’s no folding action here. There are few physical changes to the M1MKII from its predecessor, then. However, the sound is a step up from what we already liked last year. You get the same abundance of detail, only now accompanied by more precision, greater clarity, and a larger sense of space. A spin of System of a Down’s Radio/Video gives a terrific amount of texture, accessible even during the song’s more turbulent moments. Instruments are nicely separated and organised, but never in danger of sounding clinical. There’s plenty of punch. Dynamics are strong, and timing is tight. The weighty bass is more taut and better defined than before. The sound is entertaining but gentle enough not to tire you – the M1MKIIs provide welcome authority. The sound is a rounded, refined presentation. Vocals are given room to breathe. The high end is natural, never hardening even when the volume is cranked up. You get the same warmth as with the predecessors, but with a bit of added pep. And while we can’t quite bring ourselves to call it an attacking sound, there’s enough energy and agility to make for an exciting listen. We really like the Philips Fidelio M1MKIIs. They’re everything we could hope for: an improvement on an Award-winner. Although the price is creeping up a little, we think it’s justified by the subtle improvements in audio performance. 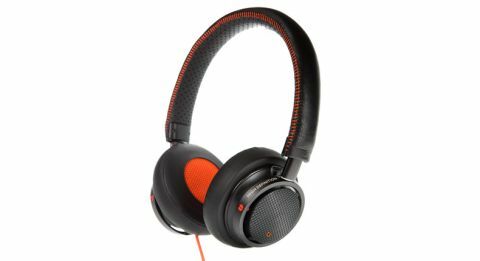 If you have just under £200 to spend on a pair of portable on-ear headphones, this is a most worthy candidate.